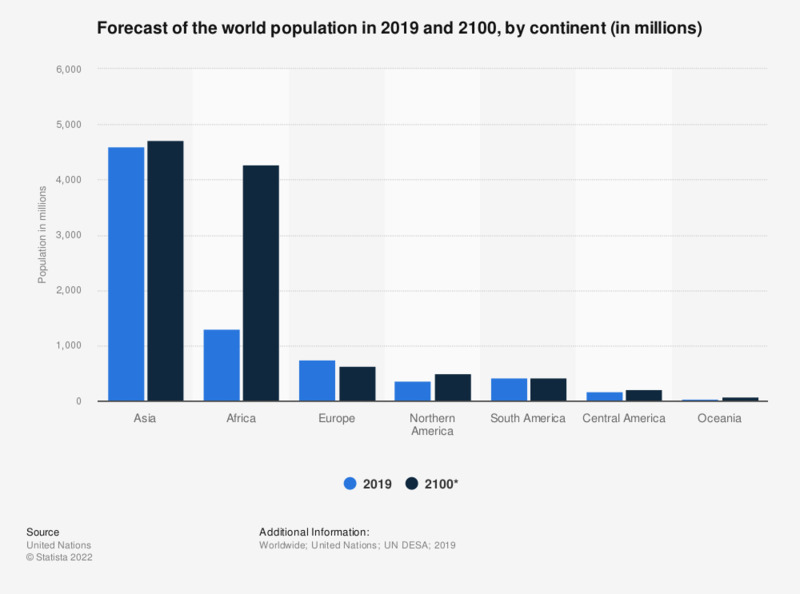 The statistic shows the world population in 2015 and a forecast for 2100, by continent. Approximately 4.41 billion people were living in Asia in 2015. Data were rounded due to a better understanding of the statistic. The information are based on the medium calculation variant.